It's What a Treat Wednesday with My Creative Time, and I can't get enough of the new Mini Stitched Lollipop Die! 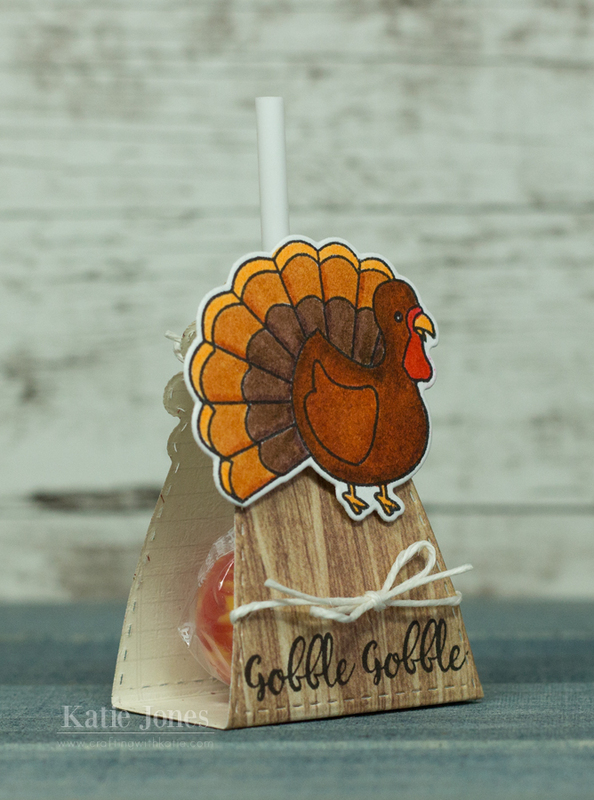 I thought this die would be perfect for making little treats for the Thanksgiving table! I made mine using paper from Simples Stories SN@P! Basics collection, stamping a sentiment from Gobble Gobble, and tying a little hemp bow on it. The turkey is also from Gobble Gobble! I stamped it onto Strathmore Bristol cardstock and colored it with my Zig Clean Color Real Brush Pens. OMG Miss Katie Your Mini Lollipop Treat turned out so Adorable and yet so beautiful. Your turkey is so stinkin' cute and you so did an incredible coloring job....love the paper you used you so did a super outstanding creative job!! Great treat. I like how you colored the turkey...really nice. Thank you for the inspiration. Cute! I am thinking about treat for Halloween still, but I did just get some stamps from Jaded Blossom for Thanskgiving.